SMS International is a world leader in industry 4.0 software development for surface mount electronic manufacturing applications. Our product range is extensive, growing, and routinely being upgraded. 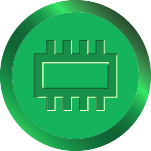 SMS has developed a suite of software to optimise your surface mount electronic manufacturing process. SMS integrates different machinery and processes to work as one system. Data collected through SMS software is stored, analysed and able to be accessed anytime. Changes to the manufacturing process are tracked and visualized in real time. SMS software issues immediate alerts when components are out of date, or processing problems arise. Software allows for the complete traceability of the entire manufacturing process. SMS provides data generation and interpretation. Our software evolves as processing ideas and systems change. Drill down functionality allows the smallest details of production to be examined. SMS software allows for accurate production reports to be created instantaneously and accessed anywhere. SMS is a leading supplier of manufacturing software designed for the surface mount industry. We work alongside our clients, and have built a reputation based on our optimizer engines fast results and machine optimization improvements. Currently, SMS is building its reputation in data collection systems for performance monitoring. SMS is a software development company with over 75% of the company involved in direct software development.